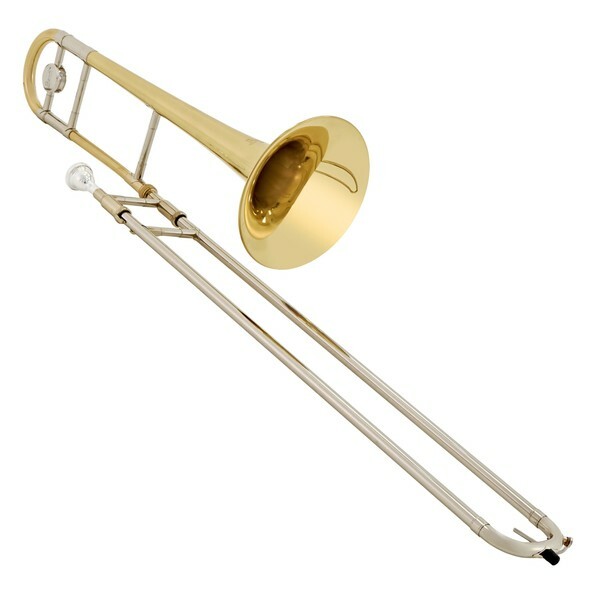 The Bach TB502 Tenor Trombone, Medium Bore is ideal for amateur musicians in need of a high-quality instrument. Similar to professional trombones from Bach, the TB502 features a professional grade nickel silver slide which provides smooth movement. The yellow brass found in the TB502 is the most popular material for trombones and can easily produce a beautiful and warm tone. The medium bore of the Bach TB502 provides incredible versatility and can be performed in a variety of different ensembles including orchestral and jazz. 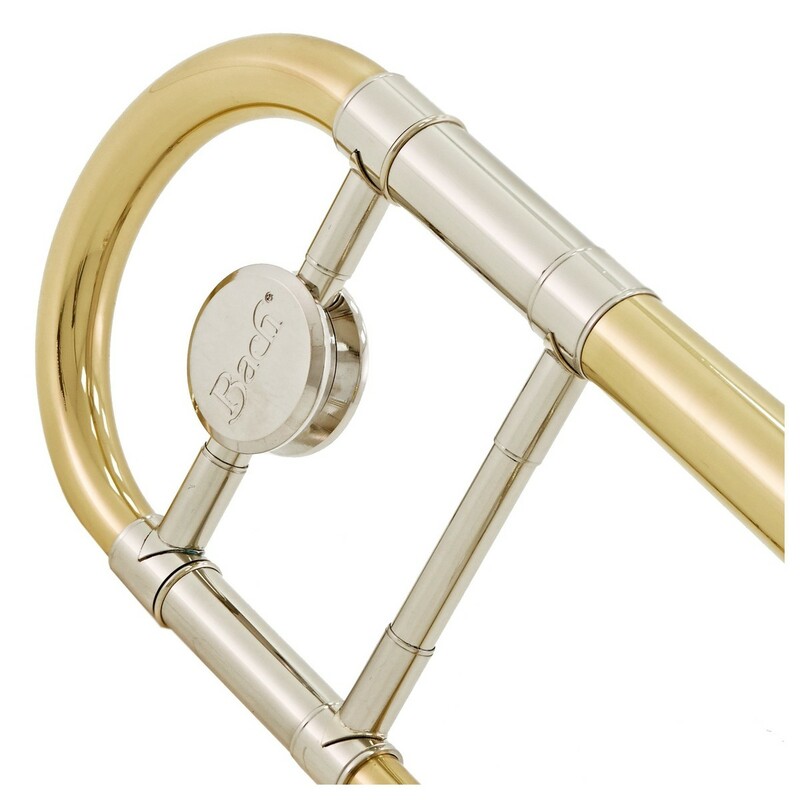 Bach have been able to produce the TB502 trombone to the same high standard as their premium range of instruments, while keeping it at a cost-friendly price. 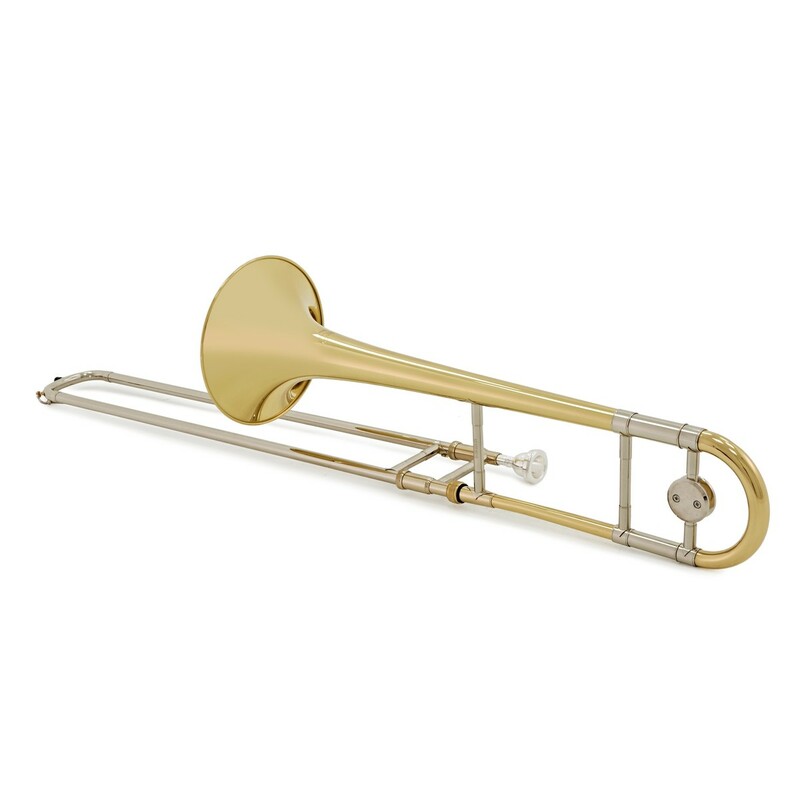 The TB502 features a .525'' medium bore which is standard for starter trombones as it keeps the weight of the instrument down. This size of bore allows the TB502 to be performed in a variety of different musical environments, including solo, jazz and orchestral. 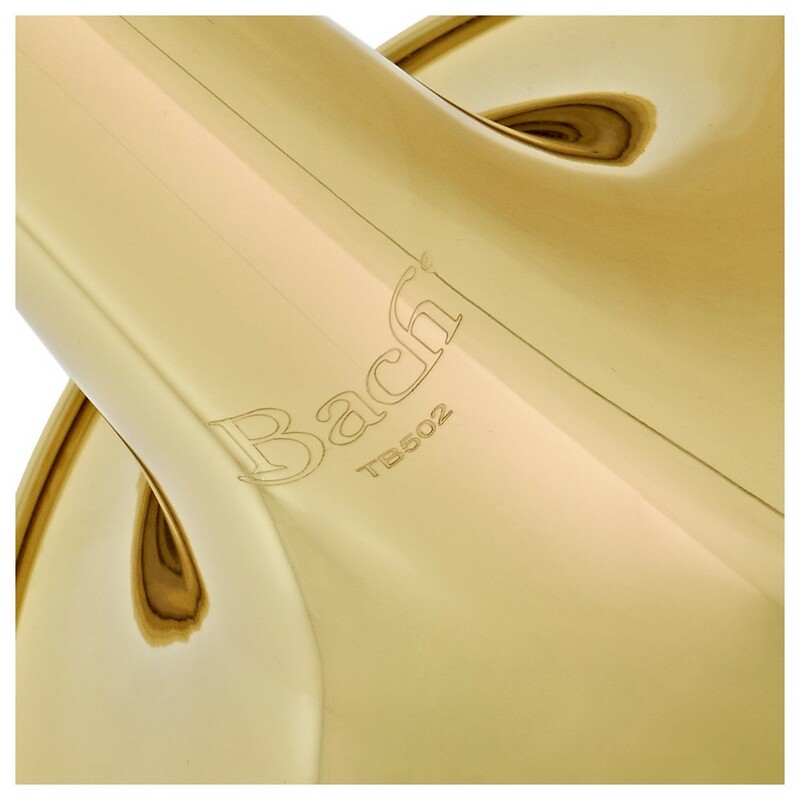 The 8'' bell found on the Bach TB502 will project its tone to the back of any concert hall. 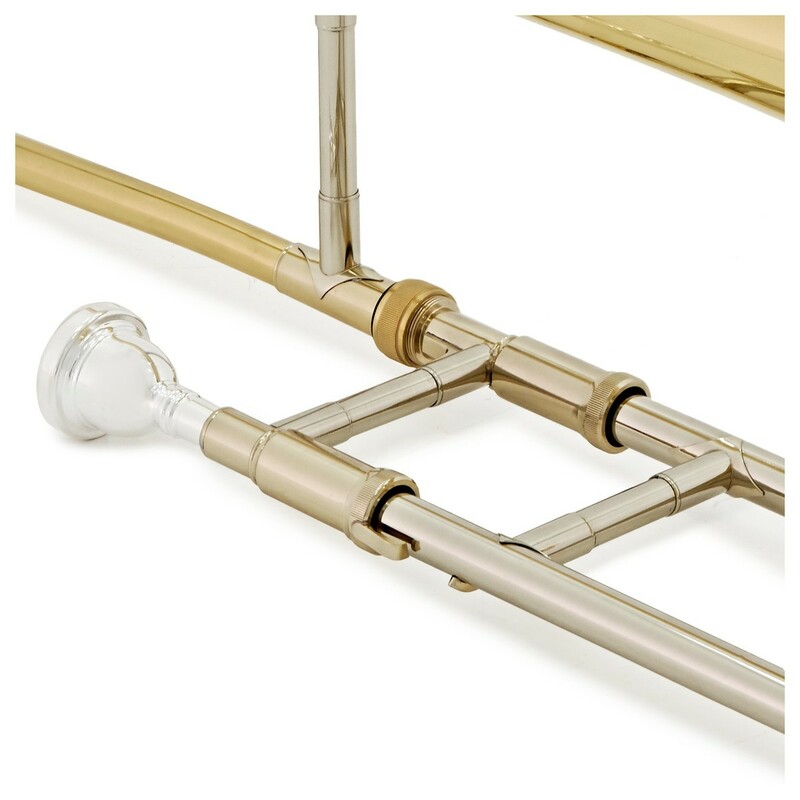 Bach uses the highest quality materials to construct their trombones. The yellow brass found in the bell and outer slide is the most widely used and commonly played alloy in the world. The TB502 has a chrome plated nickel silver inner slide which provides a bright and powerful sound to the performer. Nickel silver is used for many trombone slides because it's firmer and has greater corrosion resistance compared to standard brass. Once the TB502 has been constructed, a layer of clear lacquer is applied to make sure the instrument stays looking newer for longer. The TB502 includes everything you need to start practising straight away. The included case provides tough protection while also being lightweight and durable. 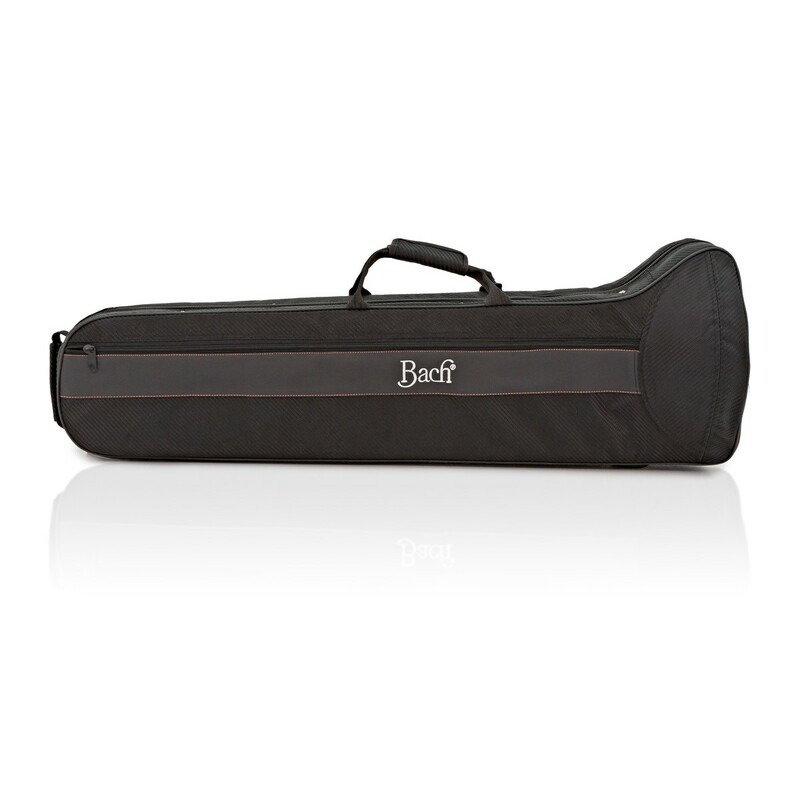 The case features two comfortable backpack straps to ensure easy transport between musical events. If you'd prefer to carry the case, then the backpack straps can be removed and stored in the zipped compartments on the side of the case. 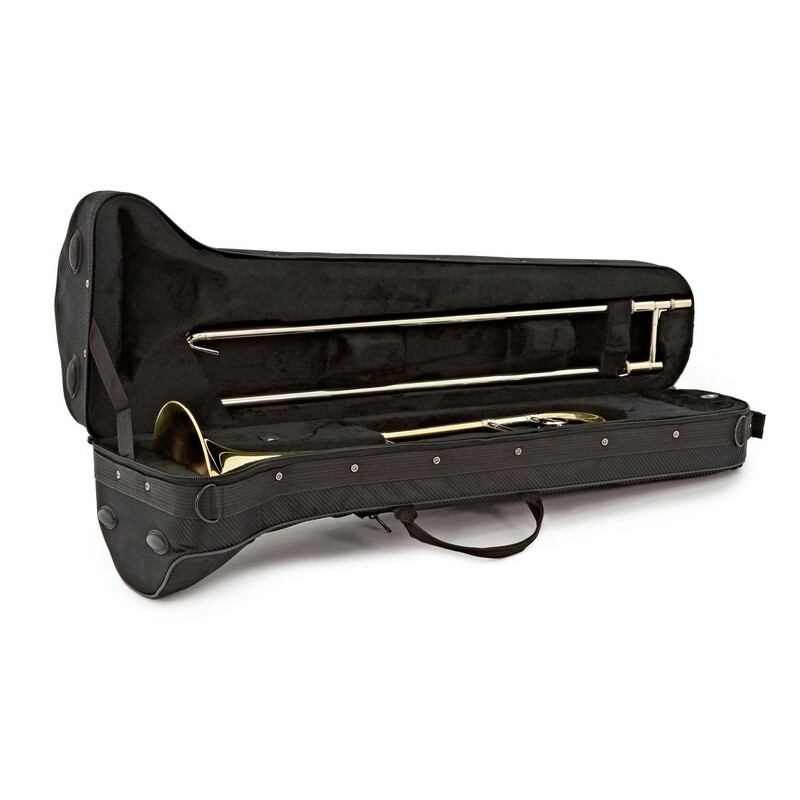 The inside of the case features two accessory pockets for mouthpieces, slide creams and any other small accessories. The included Bach 12C mouthpiece features a medium-size cup and medium-wide rim that produces a crisp tone. The Bach 12C is the best-selling model for all-around playing. Bach have been making trumpets since 1924 and are viewed as one of the best trumpet manufacturers in the world. In 1928 Bach decided to use their expertise to start manufacturing trombones and have since grown to gain a reputation similar to their trumpets.